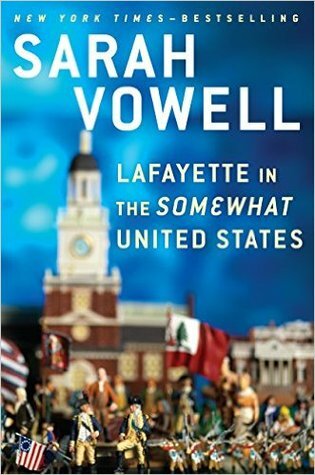 From the bestselling author of Assassination Vacation and Unfamiliar Fishes, a humorous and insightful account of the Revolutionary War hero Marquis de Lafayette—the one Frenchman we could all agree on—and an insightful portrait of a nation’s idealism and its reality. Lafayette’s arrival in 1824 coincided with one of the most contentious presidential elections in American history. Congress had just fought its first epic battle over slavery, and the threat of a Civil War loomed. But Lafayette, belonging to neither North nor South, to no political party or faction, was a walking, talking reminder of the sacrifices and bravery of the revolutionary generation and what they wanted this country to be. His return was not just a reunion with his beloved Americans, it was a reunion for Americans with their own astonishing singular past.